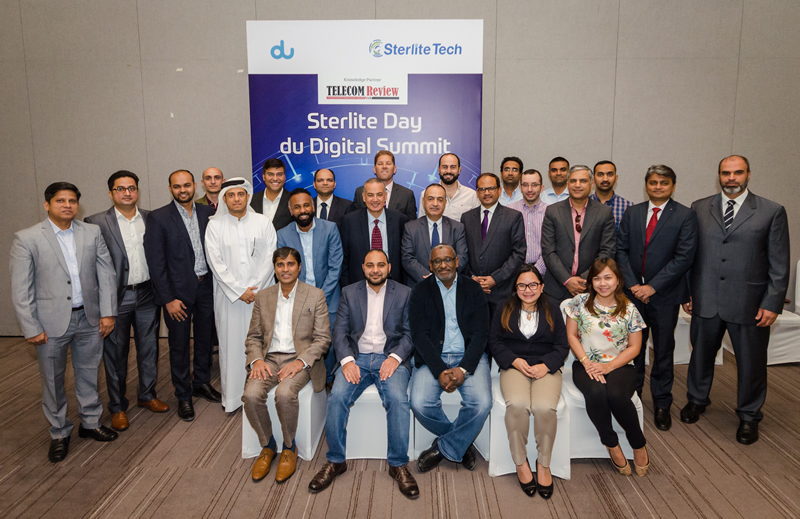 Du, the leading telecom operator in the UAE, plays a vital role in Dubai's evolution into a Smart City. 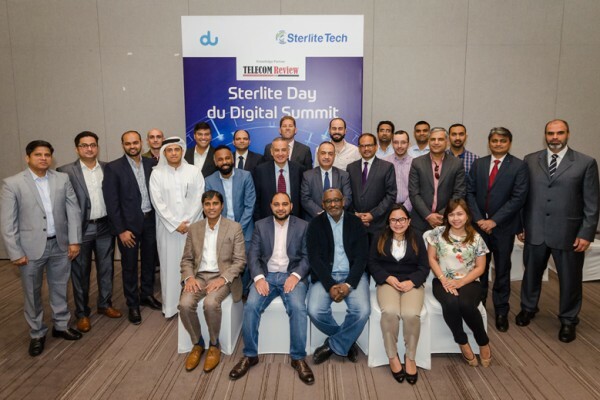 Sterlite Tech being its technology partner supporting Dubai Smart City Vision took the initiative of organizing Sterlite Day - du Digital Summit, to showcase how Sterlite Tech is positioned to enable du in its journey as Digital service provider. 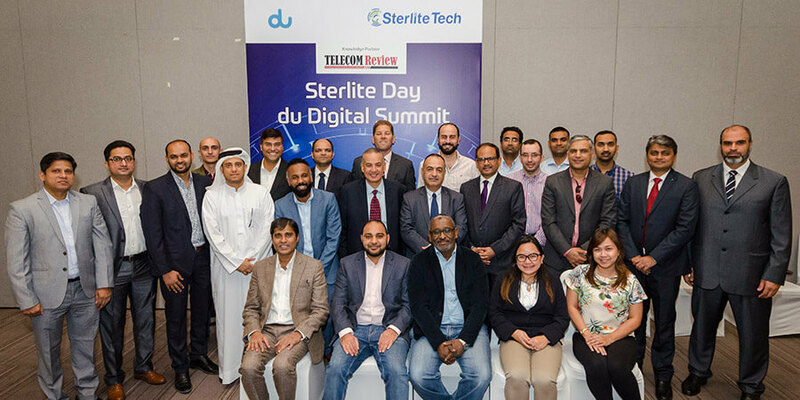 The Sterlite Day was designed exclusively for du in conjunction with its knowledge partner Telecom Review which highlighted how digital transformation is completely reshaping traditional B2C and B2B relations and experiences. Those in attendance at the 'Sterlite Day du Digital Summit' were treated to a series of informative, engaging and fascinating presentations on digital tTransformation, which were delivered by industry experts from Sterlite Technology, du, NXN and PwC. 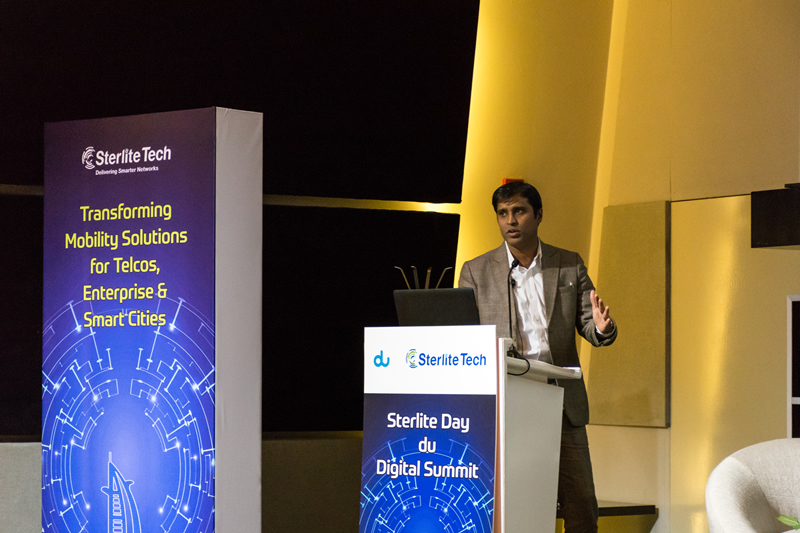 Vaibhav Mehta, Sr. Vice President, Business Development at Sterlite Tech - Software delivered the opening address. During his presentation, he suggested that the access to data was going to become virtually free and that it will create a huge challenge for the industry to sustain. 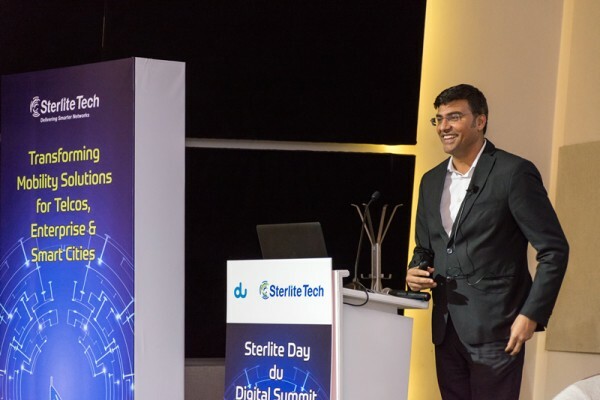 In addition to this, he outlined how Sterlite Tech - Software is committed to building a new framework that compliments both B2B and B2C services. 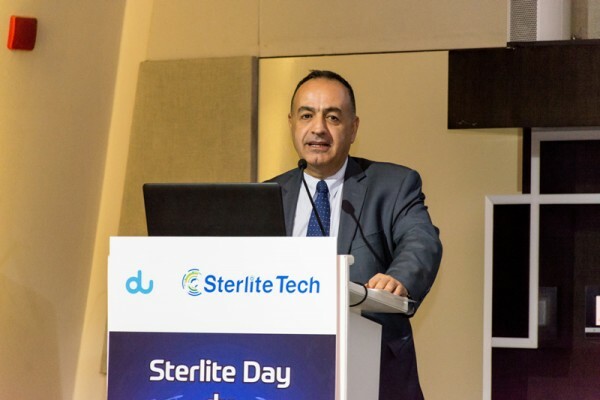 The Sr. VP of Business Development at Sterlite said, "One of the major problems within the industry is that data access is going to become virtually free. In the Middle East, you've got a much more regulated economy which is trying to ensure that this doesn't happen. However, in other parts of the world, especially in areas where a lot of our customers are based this is not the case. In some instances, we've seen telco providers launching free services, and adopting a mantra of, 'let's just make money through services'. I think digital service providers realize they need to embrace collaboration. B2C is great, it's going to remain as it is, but how much of our business and how much of our strategies are B2B? A new concept entitled B2Government has been created which basically means you have an infrastructure in the country, but how much of that can be leveraged for areas such as smart cities, digitally connected cities, insurance and healthcare? These are all examples of the kind of different services that are being created and that will use a traditional telco network. However, the approach from a B2C will change to a B2B. We're building a framework for B2B and B2C that is making sure you're able to offer your consumers collaborative services." 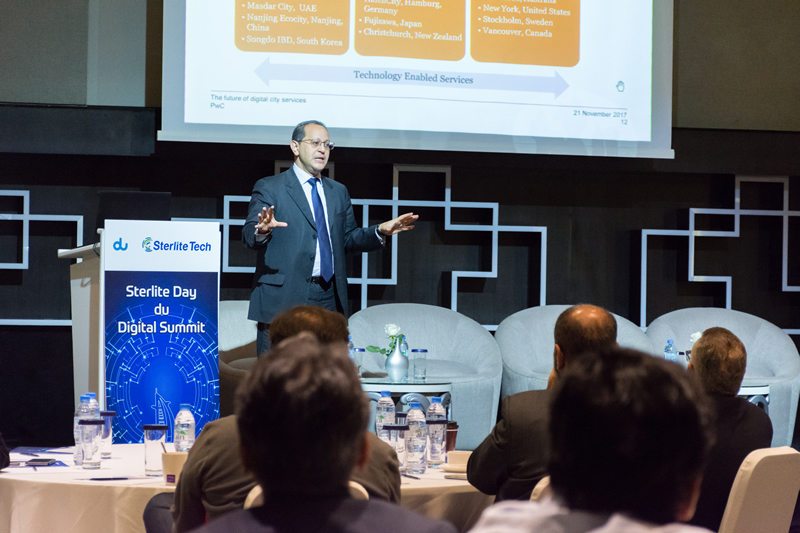 Hazem Galal, PwC Partner and Global Leader for Cities and Local Government delivered his keynote speech which was entitled 'The Future of Digital City Services'. 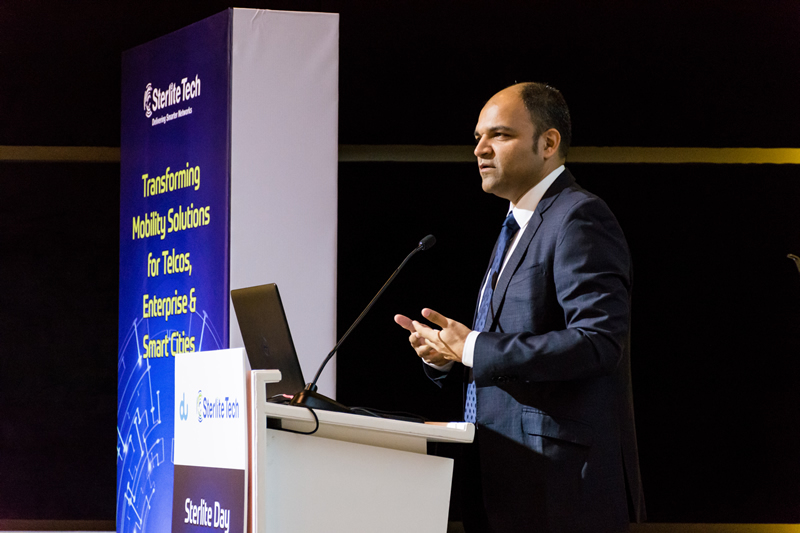 In what was a compelling and in-depth analysis of the future development of smart cities, Galal highlighted how that one of the key fundamental components in building a 'smarter' city is identifying the biggest priorities in any particular city. 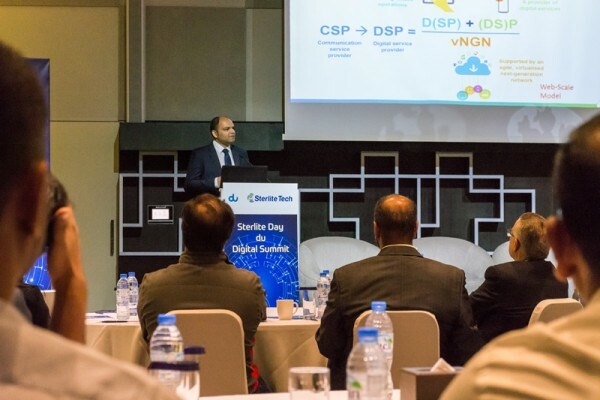 Galal said, "Every region and continent has its own challenges in embracing digitalization. For example, in Asia, one of the biggest challenges in the future development of smart cities is urban planning. The region lacks an integrated way of planning the city, whereas in South America it lacks economic growth to invest in infrastructure and services. We need to have some idea at the highest level as to what are the biggest priority and challenges in a city. We are sometimes guilty as policymakers and technological solution providers of trying to push somethings that aren't always 100% aligned with what we're seeing as the biggest priority in a city, so some of that thinking has to change." In addition to this, the Global Leader for Cities and Local Governments at PwC declared that whilst there was no universal definition of a smart city, there were some fundamental characteristics that ought to be implemented in order to achieve success. 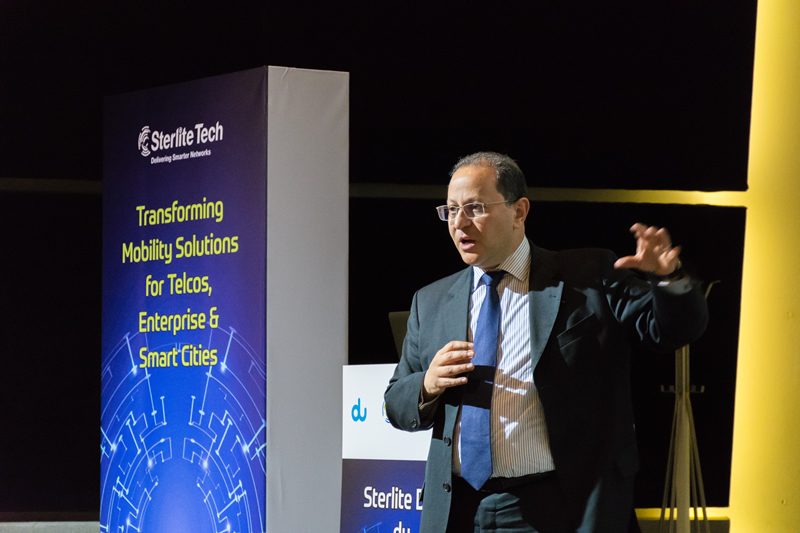 He added, "Everybody talks about smart cities, but first of all, there is no universal definition of a smart city, but people agree on some of the characteristics of a smart city should look like. If you're trying to manage a national transformation program and each one of your cities is using a very different standard then how are you going to consolidate all these services. I think this is one of the issues the India Smart Cities program is currently facing right now in terms of how you go from national policy to implementation in a more uniformed way. So what does a future smart city characteristic look like? In my opinion, it's sustainable, not only environmentally, but also socially and economically and it is citizen-centric." Dhaval Vora, VP - New Product Management and Development at Sterlite Tech - Software delivered a presentation entitled 'BSS of the Future'. He stressed that digital transformation was not all about automation - instead claiming it was more about improving the connectivity between you and your customer base. Vora said, "Digital transformation is not about automating things. Digital transformation is all about how you make consumers become connected with you. We feel that there are four key areas where the digital impact can be evaluated and demonstrated. One of which is when you're embarking on digital transformation journey it has to be all about your subscribers. Any change in your process and any change in your technology should actually have a clear-cut impact on the way subscribers are consuming services and the way they're interacting with them. Typically, digital transformation has to have a direct KPI linked to your customer that you can use to measure, realize and creatively improve the service. It's not all about precision and getting everything right from day one, it's more about learning creatively and improving efficiency." 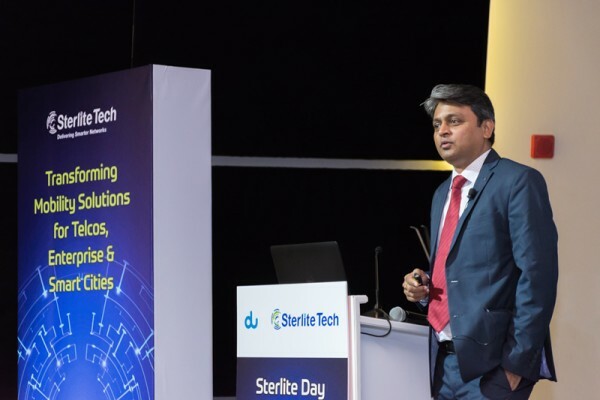 The Sterlite Technology expert also highlighted the importance of 'operational efficiency' and declared that a simplification of services is fundamentally what the customers not only want, but expect. 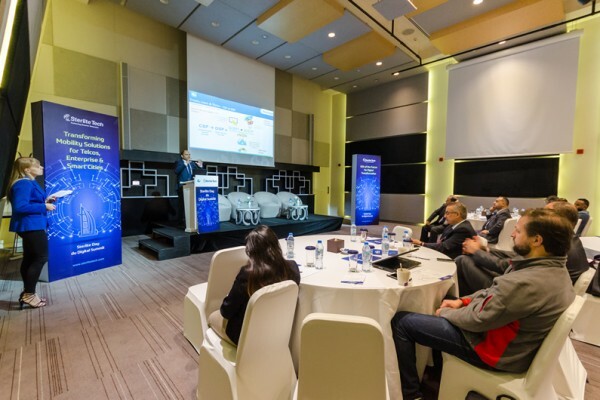 He added, "When you're focusing on improving subscriber-driven services operational efficiency is vital, because if you're doing automation you're bringing all the systems together with the communication to customers has to be consistent. In addition to this technology, versus customer and partner engagement is also a key component in digital transformation. 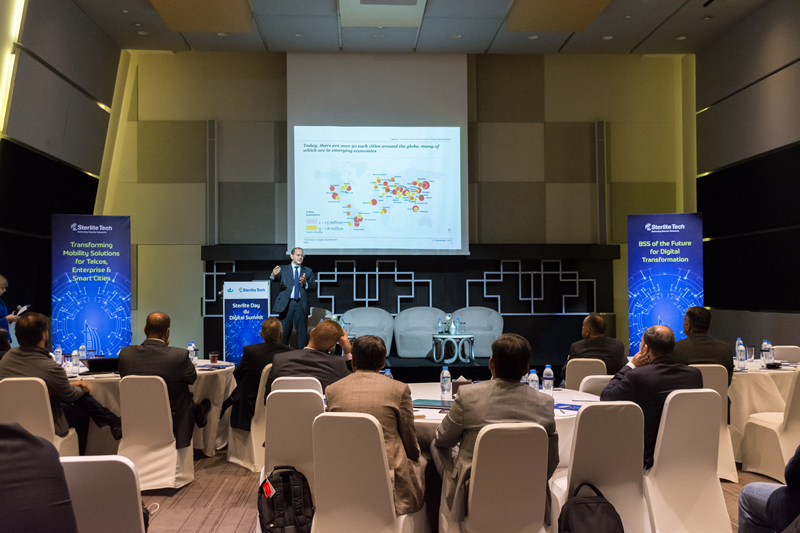 This usually involves telcos and operators actually partnering with OTTs. The customers connect with you, and you always expect the customer to visit your store, or you always expect them to visit your site to get their subscriptions or services. However, what a customer primarily needs is a simplified service or a simplified way of consuming services. If you can take your existing framework and improve the overall experience of that service for your customers then that's an example of digital transformation." 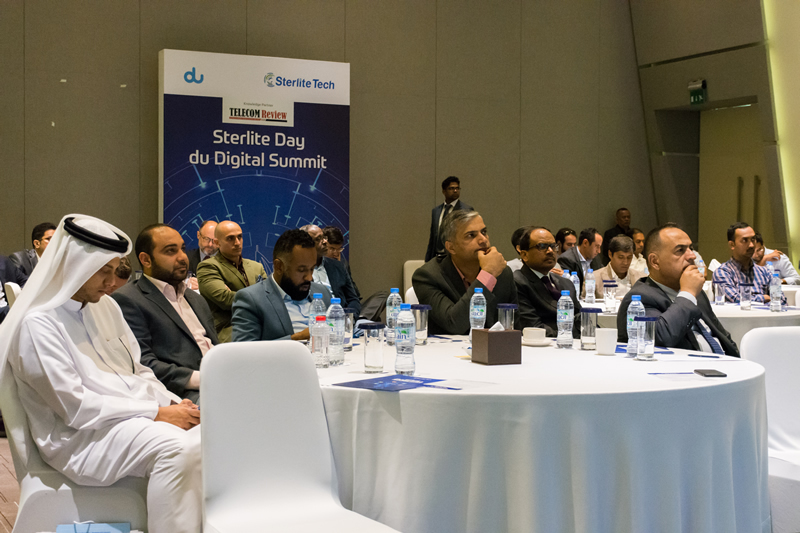 Next on the agenda was a brilliant interactive session between NXN's Senior Consultant, Andrew Rippon, du Director of Digital Enablement, Elrashid Ibrahim and Sterlite Tech VP of Business Development Vaibhav Mehta. The expert panel discussed the main challenges and key verticals associated with digital transformation. 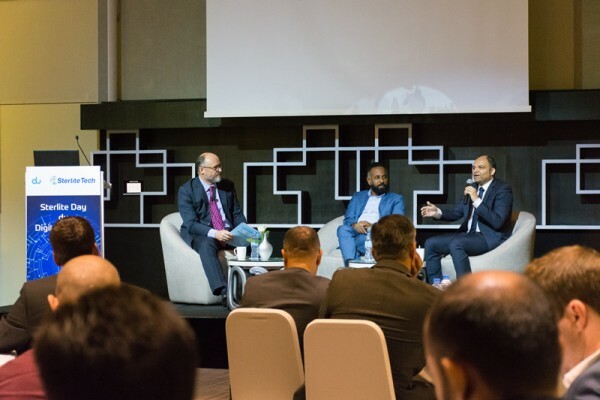 The panel was quick to collectively acknowledge that the UAE and in particular Dubai was progressive in terms of how it utilizes technology in order to transform enterprises and services to achieve its ultimate goal which is to improves the lives of its residents and citizens. Vaibhav Metha said, "I've always considered Dubai and the UAE to be ahead of the rest of the world when it comes to deploying technology that improves the lives of its citizens and residents." 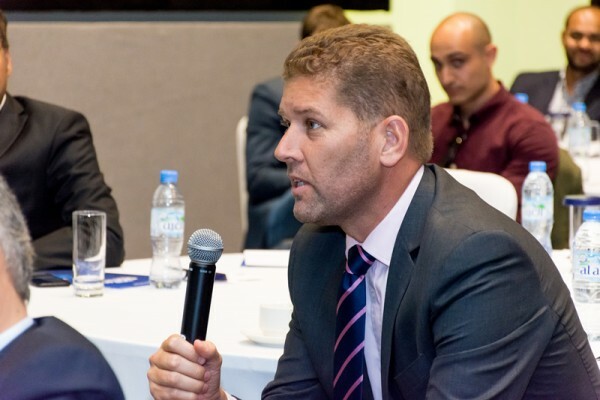 NXN's Senior Consultant, Andrew Rippon pointed out that collaboration is a critical component in order to accelerate the development of smart cities in other parts of the GCC region, in addition to governments embracing digital transformation. He said, "The concept of collaboration is absolutely central to the development of smart cities." Director of Digital Enablement at du, Elrashid Ibrahim said, "du is working towards transformation and digital enablement in the region, and one of the main projects we've been involved in is the development of the Dubai Pulse Platform with the Smart Dubai Office. However, we're also separating new solutions in ICT to try and make them more agile when we're delivering our services, and we're basically supporting companies who are trying to become more 'smart'." 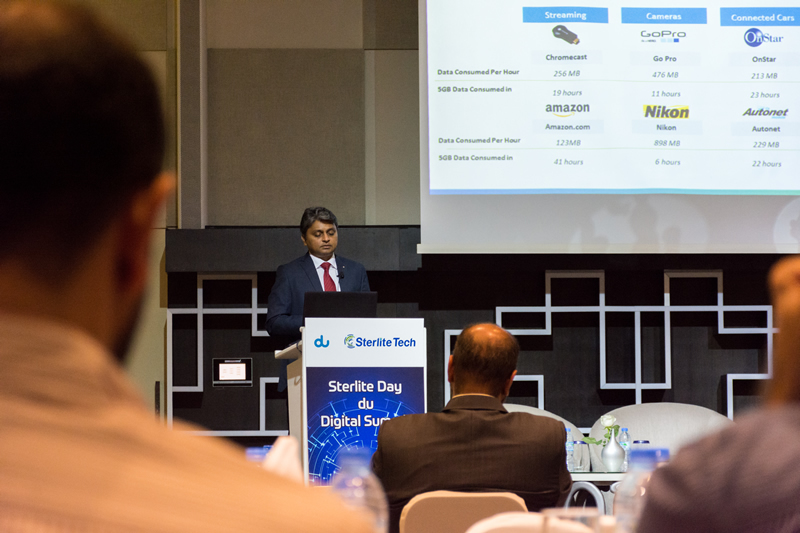 Sterlite Tech has a clear vision on digital transformation, and at their event they clearly outlined the key trends, vertical and challenges they believe will define it. Its technological solutions will undoubtedly transform mobility solutions for telcos, enterprises and smart cities in the Middle East region.